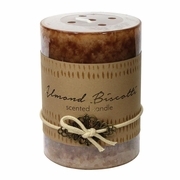 Almond Biscotti Pillar Candle 3 x 4. 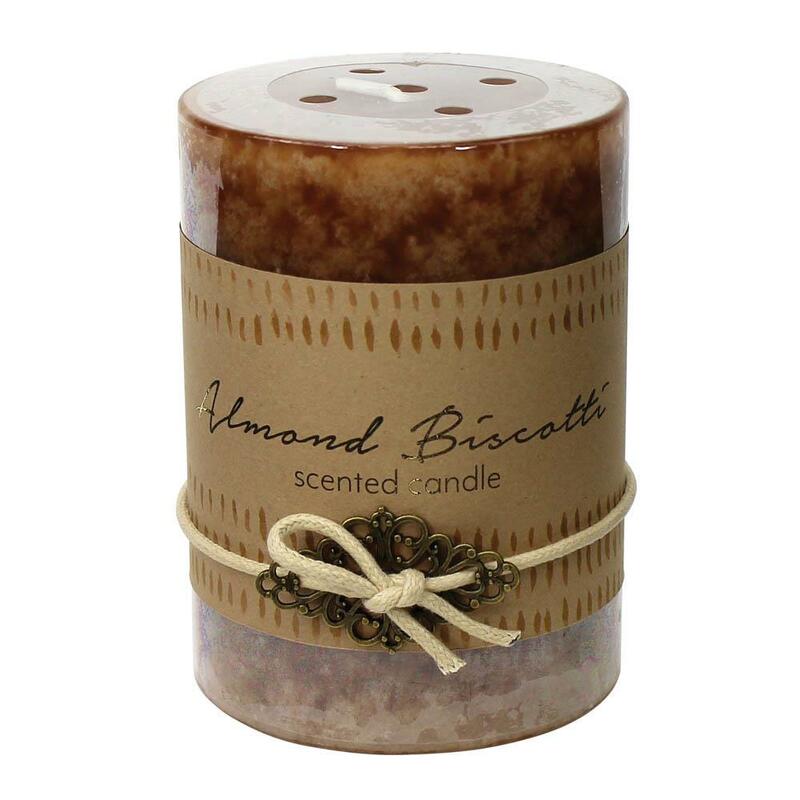 The delectable almond biscotti scent is infused with yummy notes of vanilla, crunchy almonds and spiced crystal sugar, with a touch of anise and raspberry. Delish! Burn time: up to 60 hours. Paraffin wax. 3" x 3" x 4"